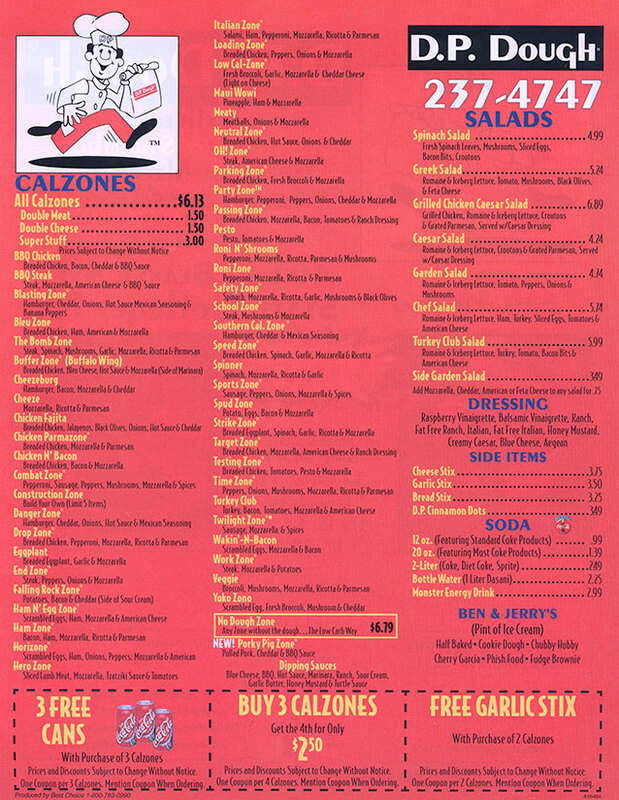 The Original Calzone Company! Next time you are hungry, call D.P. Dough The Pizza Alternative!